Three-light chandelier slightly larger in scale than a traditional pendant. These fixtures are artistically styled and can be clustered to fill spacious interior areas. Antique mirrored glass suspended with decorative chain shine through when illuminated. Twelve-light, three-tier chandelier provides a welcoming silhouette in any home. Unique translucent sheer Mylar shades encompass an inner glass globe. The rich, layering effect creates a dreamy look that is both elegant and modern. Offered as a complete collection, the Invite styling can be carried throughout your home or as a focal style in a special room. Indi Collection 3-light Antique Bronze Chandelier Three-light chandelier slightly larger in scale than a traditional pendant. These fixtures are artistically styled and can be clustered to fill spacious interior areas. Antique mirrored glass suspended with decorative chain shine through when illuminated. 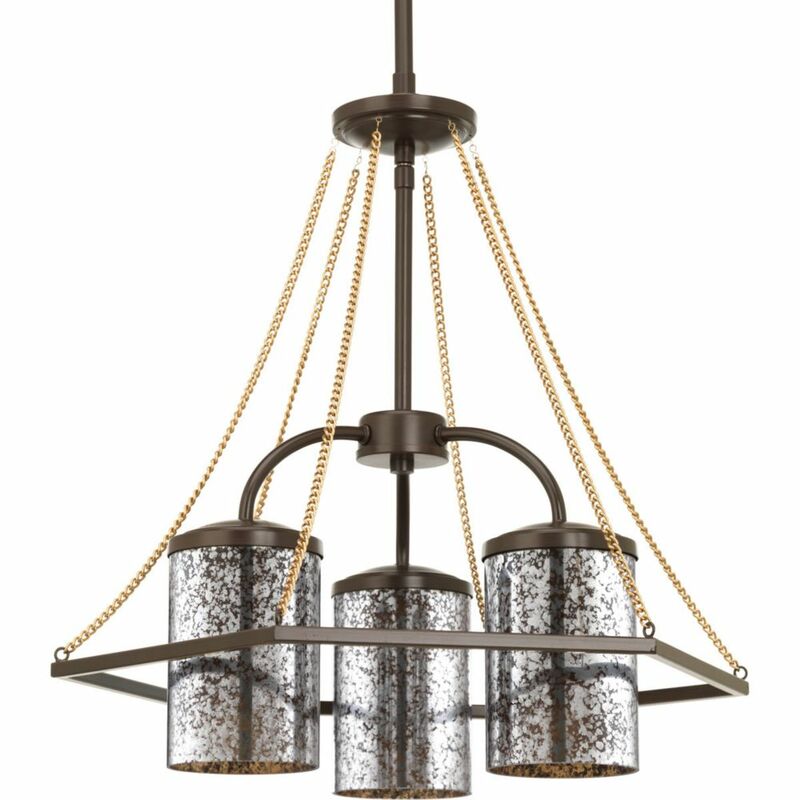 Indi Collection 3-light Antique Bronze Chandelier is rated 3.0 out of 5 by 1. Rated 3 out of 5 by MM from Ok Looks better in picture. It's nice not worth $200. One of the chains broke after being installed. I would have liked to return it, however, I am not a person that can take it down and reinstall another one and it cost money to hire someone to do such a project.